Animals are not often notified of their owner’s death, to save them from mourning. Most animals often wonder where their owners have disappeared to after not seeing them for so long. 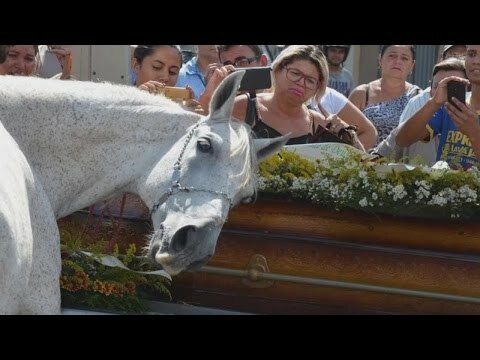 This horse named Sereno was given the opportunity to say goodbye to his owner and best friend. The horse lays his head on the coffin, despite not seeing one in his life, and cries his eyes out. Animals feel pain and emotion just like humans, and this video will surely leave you in tears.